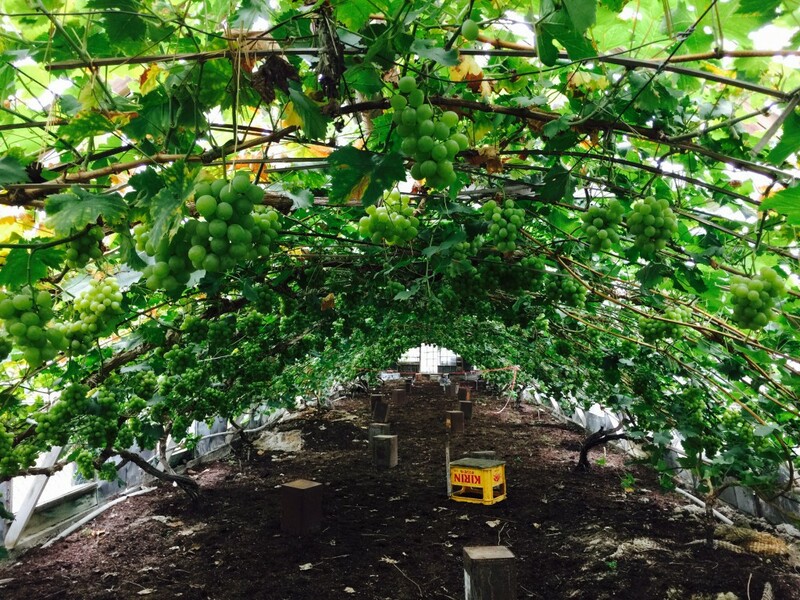 The grapes taste different from variety to variety, and it is hard to make a recommendation for which grape picking experience to go to. 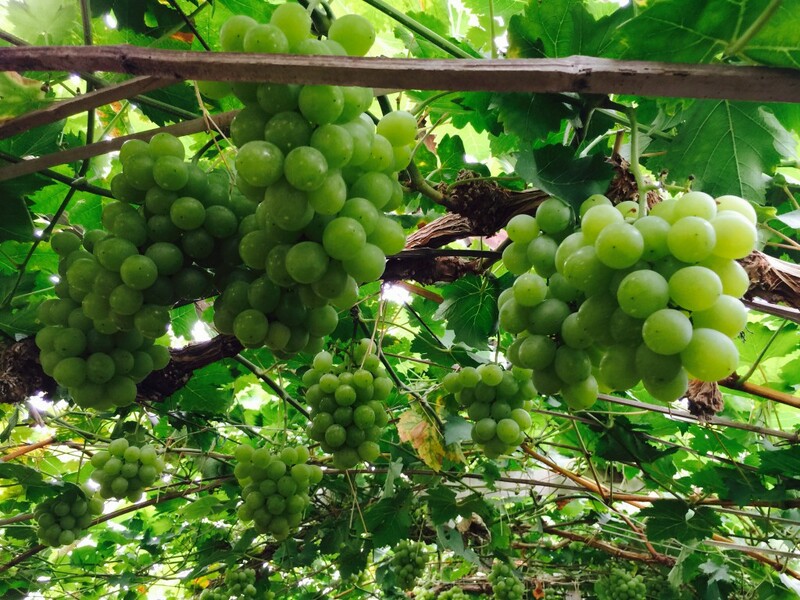 Some people prefer plump piones and the bright burst of flavour as their flesh is sucked away from the grape skin; others prefer the subtler sweetness of muscat grapes, whose flavour makes itself known like a crescendo. On average, it costs ￥1200 – ￥2500 to pick grapes for 1 hour, and you can eat as many as you like or are able to. Getting to savour the fruit directly from the source guarantees freshness, and the flavour of the just-picked fruit is definitely unforgettable. Generally, grape season is around September to October, differing according to variety. If you would like more information on fruit picking around Yunogo, please do not hesitate to contact us.